New birding apps are coming out all the time. One app that looks new, eBird Mobile App, is in fact the Birdseye Log (or BirdLog) with a facelift. Back in 2012, David Bell’s company, Birds In The Hand, released the BirdLog app. The app was the first and only app to send your birding checklists directly to your eBird account. 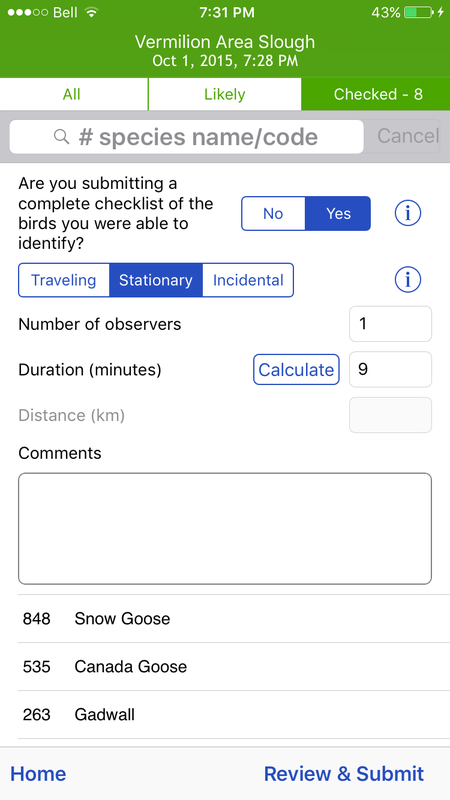 The Birdseye Log app became so popular that the Cornell Lab and Mr. Bell reached an agreement last year to move the app’s management and development to the eBird team at Cornell. The revised app, now called eBird Mobile App, can be used worldwide and is available for free on the app store. eBird Mobile sends information directly from your iOS device to your eBird account on the eBird website. At the moment, the app is available only for iOS devices with the 7.0 update or later. 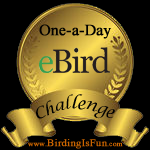 The Android version is in the development stages and should be available soon.I downloaded the eBird Mobile app couple of weeks ago and enjoy it very much, so I thought I should write a review. The home screen is very clean, fresh, and easy to understand. The first thing you do is tap the start button. 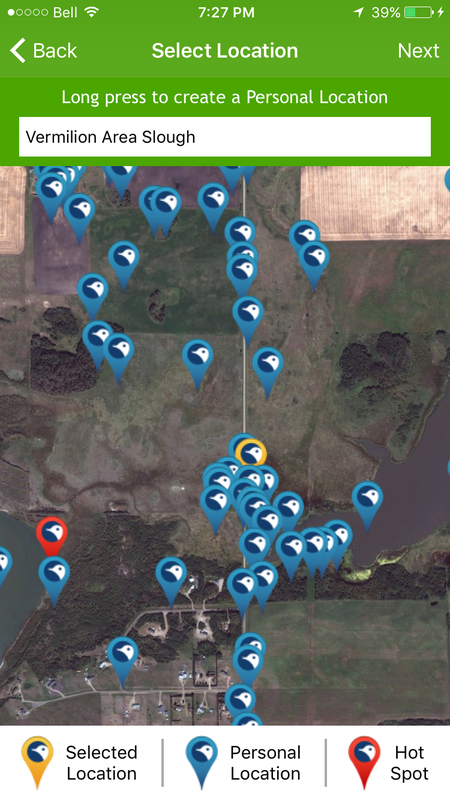 When you’re ready to pick a location, the app pulls up your established eBird locations or hotspots based on your device’s location, using GPS. You can also create a new location if you’re in a new birding spot. Offline checklists are helpful if there isn’t cell reception. After choosing your location, it’s time to set your date and time. Your start time will default to the current day and time, but you can easily change the day or even year if you like. Just scroll down the days, hours, or minutes to set your exact time. Once you’ve picked your location and entered the start time, you can record the species you see. The species are listed alphabetically or taxonomically (set your preference in the settings). You can spell out the species name or search by four-letter banding code. 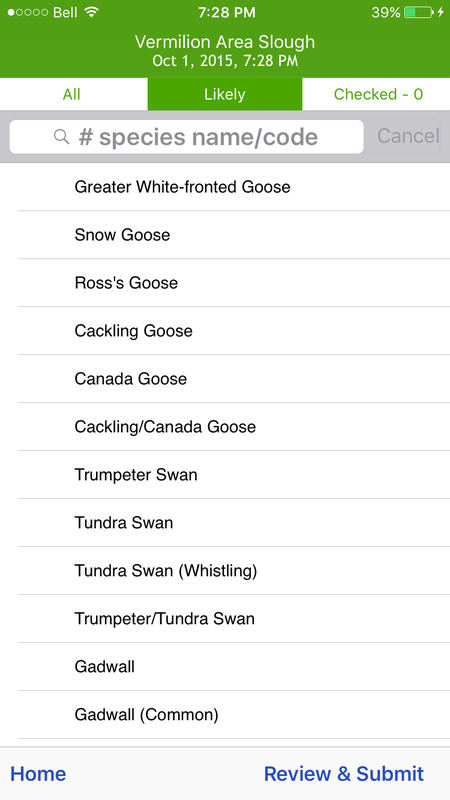 For example, the Snow Bunting’s code is SNBU and Black-billed Magpie is BBMA. 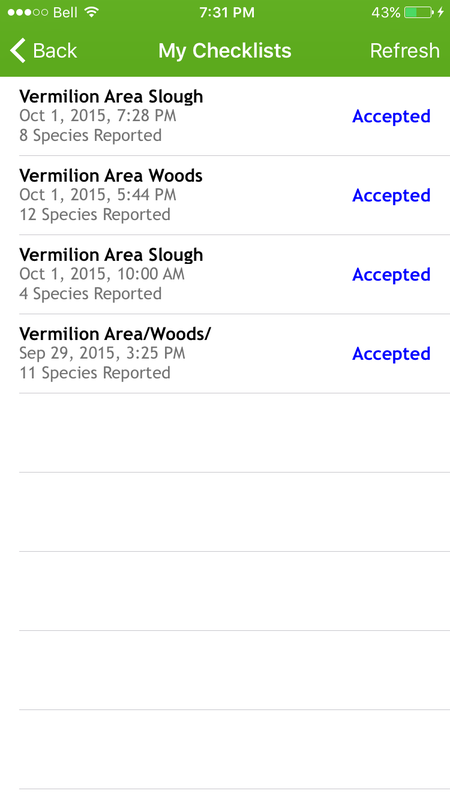 Every time you enter a count for a species, the app keeps track and adds to whatever you already have. For example, if enter “5 BCCH” (Black-capped Chickadees) in the search bar, I then have five Black-capped Chickadees in my checklist. If I see four more later on my walk, I can enter 4 BCCH and then the checklist total will be nine. Now say I miscounted the chickadees. All I have to do is enter negative numbers and that will subtract the extra birds and give a new corrected total. You can also add species by tapping on the left-hand side of the bird’s name. You can increase the number of species seen, one tap at a time. This works well if you see only a few birds. However it’s not very practical when entering 1,000 Snow Geese or more. In this case, tap on the right side and you can enter the numbers by keyboard. With this function, you can also add comments to that particular species. At the end of your birding, enter the protocol information for your checklist — how long it took, how the observation was made (Travelling, Stationary, or Incidental) along with distance traveled, number of observers in the birding party, and if you’re listing all the birds you saw. 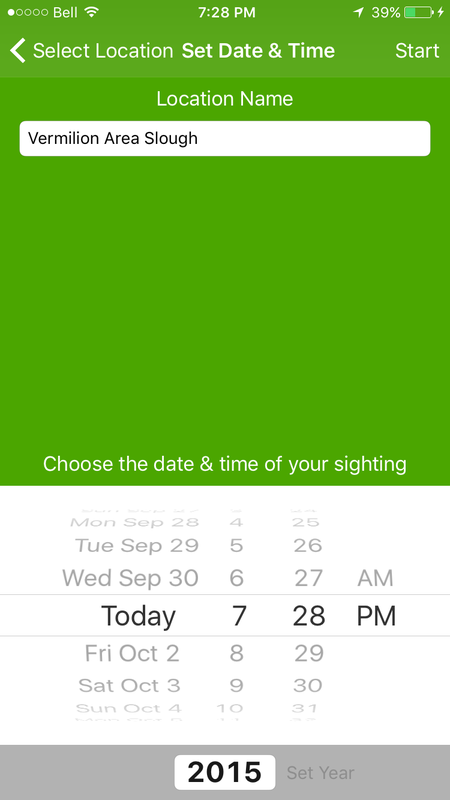 The app keeps track of how long you’ve been birding, but unfortunately not your walking distance (there are other apps that can keep track of that). If you have any extra notes about your checklist, you can add them to the comment box. 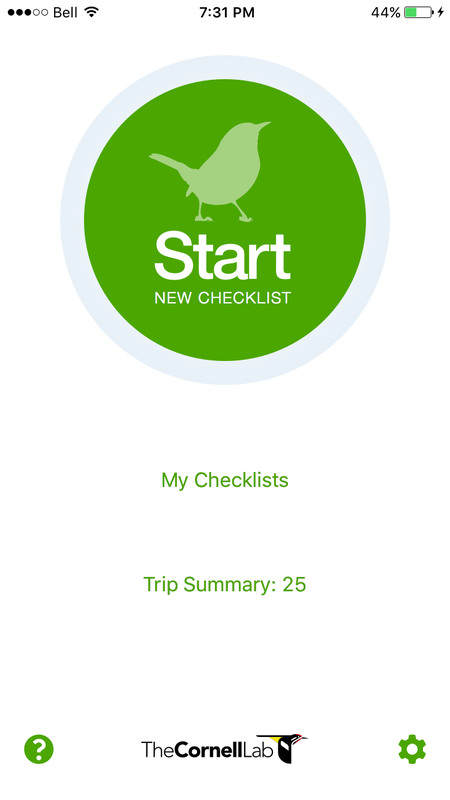 All your checklists, including In Progress and Accepted can be found in the My Checklist part of the app (found on the home screen). You can delete inaccurate or test lists by swiping right to left on the right side of the checklist to show the delete button. If you submit a checklist and then decide you want to go back to edit it, the app sends you to the eBird website. This is my only quibble with the app. 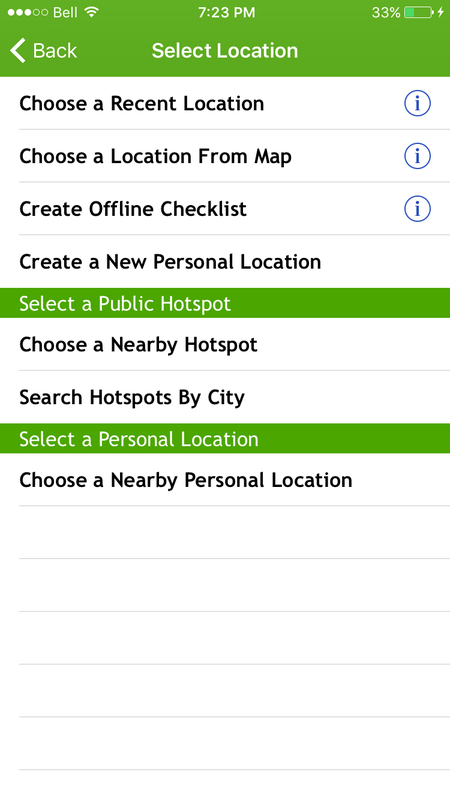 It would certainly be easier if one could edit the checklist in the app; however, it isn’t a big problem. If I do have to edit, I usually wait to do so on my laptop. Play around with the app and you’ll quickly get the hang of it. Submitting a checklist from the field requires a cell connection, so if you have only WiFi you’ll be unable to enter checklists. Since I have my new phone with me all the time now, the app makes it very convenient for submitting sightings to eBird. Just last week, I was horseback riding and saw a Rough-legged Hawk flying over our pasture — my first for the fall season. I was able to enter my sighting right from the field. The app is so easy to navigate that you can even use it on the back of a moving horse! Overall, the app is wonderful and I highly recommend that birders download it on their phones. It’s free, easy to use, and you are contributing to the knowledge of bird distribution and abundance across the world. You can find the app at the iTunes store here. This entry was posted in Autumn, Birding, Birding Apps, Birding Items, Blogging, General Birding, Review and tagged App, Birding App Review, Birding Apps, Cornell Lab of Ornithology, eBird, eBird Mobile, Review. Bookmark the permalink.